600 South View Terrace offers easy one level living with three bedrooms and two full baths on the main level and finished lower level with office space, recreation room, laundry room and one full bathroom. This house has off street parking for up to four vehicles, in a large driveway with attached garage. The Extra Large Great Room with Wood Burning Fireplace and French Doors entering onto the oversized custom stone patio with a 20X20 Pergola, off the large beautiful fully fenced back yard, a great retreat from the daily routine with endless entertaining options. This house has three fireplaces, garden/storage shed, an in-ground sprinkler system and excellent in house storage space with a floored attic and climate controlled crawl space under the Great Room. Close Proximity to the King Street Metro, Amtrak and all that Old Town Alexandria has to offer. SchoolsClick map icons below to view information for schools near 600 View Terrace Alexandria, VA 22314. Home for sale at 600 View Terrace Alexandria, VA 22314. Description: The home at 600 View Terrace Alexandria, VA 22314 with the MLS Number VAAX227714 is currently listed at $906,000 and has been on the Alexandria market for 27 days. 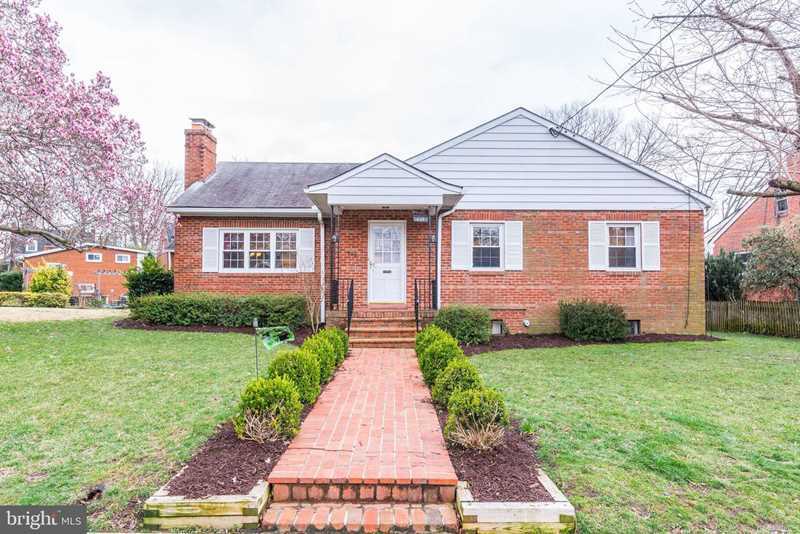 You are viewing the MLS property details of the home for sale at 600 View Terrace Alexandria, VA 22314, which is located in the Alexandria City subdivision, includes 3 bedrooms and 3 bathrooms, and has approximately 2702 sq.ft. of living area.